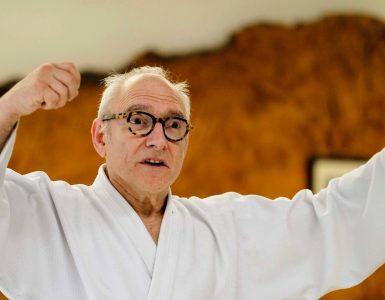 The following interview was originally published on May 27, 1956 in the weekly supplement of the Yomiuri newspaper (週刊読売, Shukan Yomiuri) and was brought to the English-speaking Aikido community by Stanley Pranin in Aiki News issues 75 and 76. At the time, Stanley mentioned that little information was available about its origin, especially the identity of the interviewer, which was unfortunate because the very unusual nature of the interview and its tone made it rather challenging to interpret. I had thought about this for years and I eventually decided to conduct some research in the Japanese parliament’s database (Kokkai, 国会) to find out more. I discovered that the article was part of a long-running series of portraits published between 1947 and 1976 entitled “Hidezo Kenzan Yaa, konnichiwa” (日出造見参｢やァこんにちは｣, which means “Hey, hello ! Hidezo’s interviews”) and that the author, Kondo Hidezo1 was a famous caricaturist turned political journalist. Later on, while browsing through stacks of periodicals in an old bookshop in Tokyo, I actually found the issue of Shukan Yomuiri containing this very interview! I am therefore able to present to you the original cartoons made by Kondo, as well as his introduction for the piece, which had never been published in English before. I have also slightly modified some parts of Stan’s translation and supplemented it with some notes to help the reader gain more context and understanding. As always, any remark and suggestion to make this translation better is warmly welcome. Ueshiba Morihei is the 149th person to be interviewed by Kondo, who was described a few years before conducting this interview as a “relatively ordinary anarchist, with no sense of right or left”. As one might expect, his questions are therefore quite provocative, even ironic at times. It is clear that Ueshiba Morihei must not have been used to be talked to that way. Yet, he had to know exactly who he was going to be dealing with and it is interesting to see that he still decided to accept the challenge. The date of the interview coincides with the Aikikai’s intense efforts to bring Aikido to the public, with most notably, the organization of the first public Aikido demonstration on the roof of the Takashimaya department store the year before, and the publication in 1957 of Ueshiba Kisshomaru’s first book entitled “Aikido”. Interestingly, neither the title of the article, nor the short biography of Morihei mention the name Aikido even though his discipline had been registered with the Dai Nippon Butokukai much earlier in 1942. Instead, he is introduced as either a master of Daito-ryu Aiki-jujutsu and a student of Takeda Sokaku. 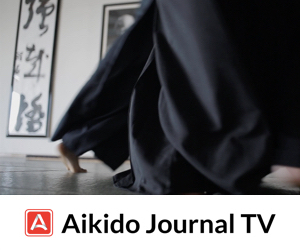 Oddly, during the interview itself, it is the term Aikido, or Aiki that are used exclusively. 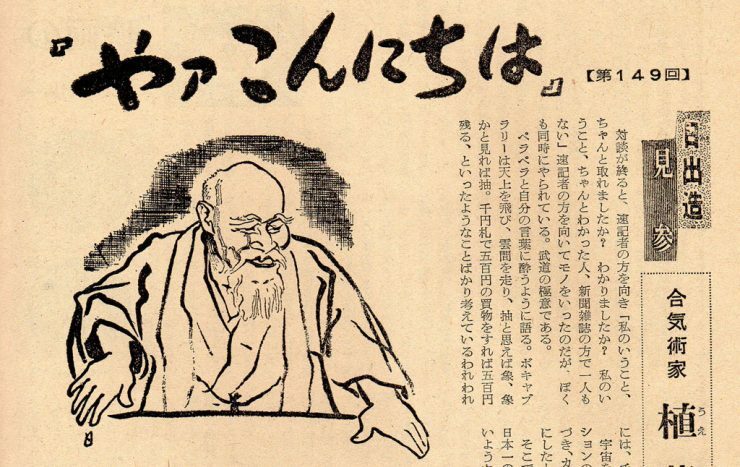 Throughout the interview, Ueshiba refers to Kondo as “sensei“. The term sensei (先生) generally applies to someone highly educated and/or in a position of authority such as a teacher, a doctor, a lawyer, or indeed a writer, but Kondo did not completely fit the standard since he was a satirical cartoonist turned interviewer who had dropped out from education. On the contrary, at no point will he refer to Ueshiba as sensei, which is surprising considering the age difference and Morihei’s status. Ueshiba, who was 72 years old at the time, is playing along with good grace, though some irritation is palpable sometimes, though a lot of meaning is certainly lost due to the absence of all non-verbal cues. It’s very interesting to see that even though some pecking between the two men occurs, at the same time, a kind of complicity establishes itself as the interview unfolds, ending with a humorous play of word on the part of Ueshiba when he bounces back on a sentence used by his interlocutor. This interview is truly one of a kind and it helps us to get a glimpse of a slightly simpler and more human side of Ueshiba Morihei’s personality, especially because all along, the interlocutor is doing his best to prevent him from going into speeches that are too opaque or philosophical. After the talk, he faced the stenographer and said “Did you get everything I’ve just said? Did you really understand? There is not a single person who understands what I am trying to say.” He was facing the stenographer when he spoke, but it was also directed towards me at the same time. It must be the essence of budo. He kept talking, sounding rather narcissistic. His words were all over the place, flying around in the sky, between the clouds. He would sound abstract for a moment, but then sound completely different a second later. For us normal people, what came out of his mouth made no sense at all. Even if I had been capable of understanding the words of this man who claims to have the universe within him and put them into fine print, I get the feeling nobody would understand. They would all be clueless, just like me. It would all sound like nothing but gibberish. So what I did was take my red ink pen and and cross out the gibberish. Doing that to the words of the man who has mastered Aiki felt scary, but also a bit exciting at the same time. Kondo Hidezo: Aikido has become very popular hasn’t it? 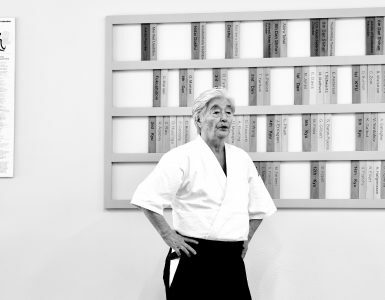 Ueshiba Morihei: It’s thanks to people like you, sensei. Yes, it’s all thanks to your support. You aren’t good at Aikido, you’re good at making compliments! (laughs) I wonder how old you are? You are the same age as I am then!2 (laughs) The human body is supposed to stop developing at 25 years old. I didn’t stop. I grew until I was 55 years old. I became taller, too. I was my strongest when I was 50. I didn’t have much strength when I was in my twenties until the age of 32 or 333. How about your skills in the arts of war4? For the fighting arts too5, I get better with age. Isn’t it strange that you kept growing taller until you were 50 years old? Take it any way you wish. (laughs) If I say that too much, people will think I’m a fool. Well, people like you, sensei, know well about what’s going on in the world, and so we, the people, follow you. Incidentally, the martial arts6 are paths to harmony7. Anything which strays from the path of harmony is useless. I believe that the martial ways8 of our nation will only last in the presence of harmony. “The beautiful form of heaven and earth is a manifestation of a single family created by the gods.9” We should become a single family spiritually and make an effort to improve the nation of Japan. We have to try to achieve harmony at least here in Japan. We should become good friends with one another, all taking care of each other. The foundations of this harmony is Aikido. It is this Aikido, which is the true budo. I want to get away from that hostile world where feudal lords from the past used martial arts as tools for military rule[hado (覇道), lit. a way of supremacy.]. 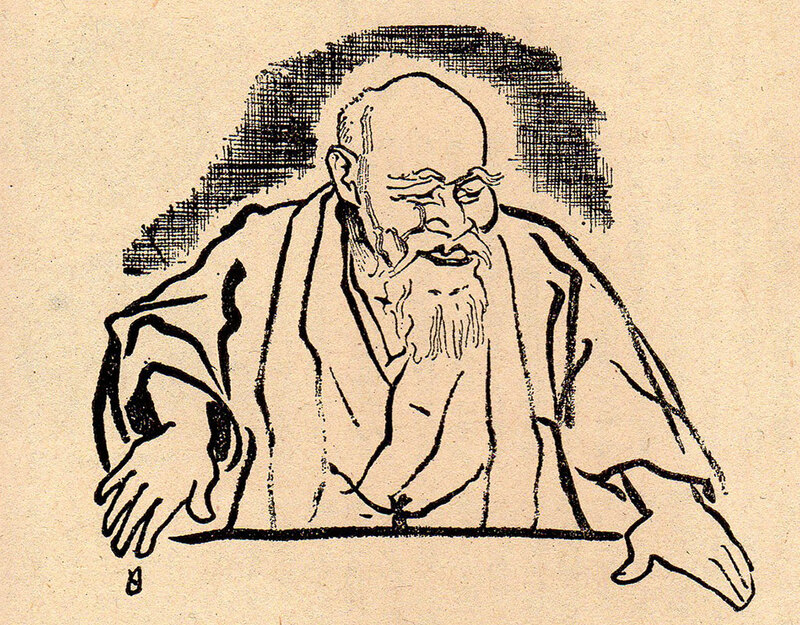 Ueshiba Morihei caricatured by Kondo Hidezo. You’re suddenly losing me with your Aikido philosophy! Democracy is the principle of immediate nonresistance. True Japanese budo is the principle of nonresistance. You’re talking about budo used for military rule. Kendo and Judo are said to be Japanese budo, but they are concerned with winning, aren’t they? Since Aikido pursues harmony, it is completely different from those arts. So it’s like: “Let’s be good friends, that’s why I’ll throw you”, right? Sensei, this is a little beneath you! When an opponent comes to attack me, I just move my body slightly to avoid his attack, and let him go wherever he wants. This is Aiki. In other words, I give that person freedom. I see. There are many ways of expressing this idea, aren’t there? It’s not a way of expressing it. It’s really like that. Is there sword in Aiki? Yes, there is. The sword is the opposing mirrors11 of Heaven and Earth. It represents an act of celebration. Now you’re loosing me! (laughs) I personally think that a sword is nothing but a murderous weapon. Therefore, I feel sympathy only towards those who look at blades realistically and realize how foolish they are. The sword is dangerous. One shouldn’t play with dangerous things. Think of the world for once. The world is a site of religious worship given to us. Therefore, we worship the path of Heaven and apply the rules of Heaven to the Earth, and conduct the affairs of state according to the way of harmony. There is no war in Heaven, is there? For tens of thousands of years we have been getting along well with each other. If the Earth is ours, let’s celebrate its beauty and get along well with each other. The sword can’t be used for getting along. I have a feeling that we will fare better if we make friends without it. The sword you are talking about is different from mine. You’re really wide off the mark. The sword is a “holy sword”, that is, one of celebration. The sword represents opposing mirrors of our kokyu 12. You should not look at the sword. If you look at it and play with it, you will kill people. Then it will become a weapon. Cutting people means being defeated by the world. Those who are cut lose too. Both are losers in that type of practice, aren’t they? Japan has become what it is because we have engaged in this type of practice that leads to defeat13. So we have to practice in such a way that will lead to victory. Practice which leads to victory is correct practice. That’s what we should do together. I will show you by demonstrating it. You will understand the explanation of the sword through this. (His son, who is accompanying him, stands and raises a stick14). He comes in this way. I will get hurt if I am struck, so I just avoid it like this. When he comes quickly to thrust at me with the sword, I dodge it nimbly. It’s even faster than an electric shock. That term is a Chinese term. It is faster than a flash of lightning or an electric shock. This is called katsuhayabi16. Therein lies the essence of budo. It is neither unfair nor cowardly. What’s unfair is to be hit. In the story books, it’s written that it’s cowardly to turn your back on the enemy. Those are the words of men of competitive spirit, which characterize military rule. It’s ridiculous. You should not deal with such kinds of people. As long as you deal with those who use violence, the world will not improve. At one time, military men used to practice martial arts a lot17. They practiced from the point of view of the military government, didn’t they? I don’t know very much about that. Perhaps that the natural course. Does Aikido come from ancient times? Its roots are in the subtle use of the kotodama18. The kotodama was created together with the universe and is being guided by nature. This world is becoming bigger and expanding every day. It is growing daily and the Great Spirit of the Creation of the Universe is unfolding. Although Heaven and Earth are heading towards completion, we see many peoples, especially Japanese, who have not realized this fact. Since it is high time for us to accept this new happiness, I want to help them awaken from their dream soon and to create a friendly family by gathering together their wandering spirits. I haven’t understood everything you’ve said but I have an approximate idea. From your point of view, what is the worst situation? First of all, everything should have a center. There is the sun in the heavens, and there should be a center on earth19. You cannot work without a center. I can’t say that exactly. If you don’t say things clearly, it will be problematic. What an attitude you have! My ideas are different from that of the right wing23. Whenever I hear the word “center”, it makes me think of the right wing. It is absolutely not a right wing idea. What I am talking about is a system of harmony through spiritual actions. Japanese budo is based on masakatsu 24, and it is neither for fighting, nor for cutting people. Those who send their opponents flying follow a principle of aggression. That kind of actions interferes with the actions others. 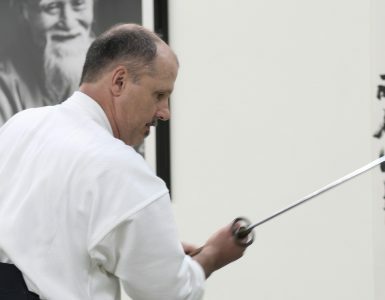 In Aikido, we never hit the sword of the opponent. All we have to do is raise two fingers and help him. It’s a very thoughtful budo, isn’t it? That’s the spirit of Japan. If we keep the past’s competitive spirit, we will continue to kill people and loose our soul. Have you never hurt anyone, not even once? Let’s not get into this, there are many types of relationships. (laughs) Anyway, I am now past those things. I participated in the Russo-Japanese War and fought against bandits, and boarded a pirate ship.25 Since I have experienced those things, I feel ashamed when asked about them. I want to live in harmony now. Sorry to insist on the subject of the Emperor but to have harmony, the Emperor is necessary. The Emperor is the center, regardless of the social classes; military, agricultural, industrial, and mercantile.26 In Japan, the Emperor is the center and his extensions divide the administration of state affairs among themselves. There are three or four divisions such as ministers, vice-ministers, and subjects, and all these are created to administrate natural state affairs. Therefore, killing a person is the same as cutting your own finger. This is why the subjects should be considered important. It should be a great democracy. You mean that we should all become friends, with the Emperor as our center. Indeed. The things that have occurred up until now could not have been avoided, and we are still a feudalistic country. Therefore, what I am suggesting is that we should discard our old clothes and convert Japan into a true, new country which we should all serve. This is what I would like to happen. You work hard and deal wisely with those you dislike and set an example no matter what people say about you… Actually, having too many fools27 like this would be a problem, too, wouldn’t it? “Fool” is written with two Chinese characters yasuku28 et tamotsu29 which mean “easy to handle”. Well, if everybody became a fool the world would be easy to handle, wouldn’t it? I am fine with being called a fool. This fool thinks in his own way, and doesn’t belong to any group. Those who are making a scene are the ones who want to show how great they are. There is nothing to be gained by participating in such a group. “The beautiful form of Heaven and Earth is a manifestation of a single family created by the kami…”30 Although I am an ignorant fool, it is my opinion that if there is no center in a family, it is the same as several different families living in a single household. Such a conglomeration of families doesn’t work. Everybody insists on expressing his own opinion and a leader cannot be chosen. “Monarchy is the principle of non-resistance”. If as you said, the mission of the rich was to be rich, and that of the poor to be poor, the poor would not accept it. I am not talking about money here. I intend to complete my mission obediently. However, in a world where people such as military officers and government officials prevent you from completing your mission by putting too much emphasis on the Emperor, our country will end up in the same way as before. However, it is pointless to complain about them not allowing you to complete your mission since the military has weapons. We are helpless. If we keep hitting back when we are hit, it will continue forever. That’s why I am talking about mental elimination of militarism. There are people who have attempted to place Japan in the center of the universe and who have died hated. There are also those who have died prevented in their attempts to advocate democracy. Since the world has been corrupted in this way, we should immediately discard such ways and take prompt action. We must purify our land. You, sensei, may not know what I mean by “purifying the land.”33 I am not talking about misogi in the old sense, which doesn’t work. The misogi of today has already been transformed. The old things are useless, but at the same time, we should believe in what is recorded in classical Japanese literature. The fact that the world was created through the subtle vibrations of the 75 sounds is written there34. Therefore, Aikido is a method of manifesting the pure spirit of all the people of the world. It is the unity of the Heavens and Earth35. This is a great democracy. There are some who say that the unification of state and policy is an excuse for the Emperor to create a military government, but that is ridiculous. It is the great democracy, the great principle of nonresistance. I like the principle of nonresistance! I want to associate with pacifists36. It is the religious zealots who are the most behind the times. What do you think you can do for those stupid fools? I very much enjoy praying to the kami. I feel really good when I bow my head with my hands clasped in prayer. It is with a feeling of appreciation that I clap hands in front of the altar when I get up in the morning. My children laugh at me, though, saying that I am old-fashioned. I think that it is quite the opposite. I am modern. The reason for this is that I contain the universe in my belly. I hold in my belly the ancient ages of the kami, today and the future. The kami dwell in healthy people. Great power is given to healthy people. Look at the sun. It is dazzling, isn’t it? But it is not at all dazzling to me and I can look at it as much as I want. I make friends with the sun. The sun is at my side. If even one star falls it influences me. I live in the same universe. I have forgotten those stories. When I was a young man, I thought I would serve the people of the world using my physical strength. In those days, when I looked at the world, I only found persons who were wise, but not physically strong. So I decided to offer my body to everyone. For example, when I went to the home of a religious person, it was my work to arrange everyone’s slippers37 while wearing a half-coat and an apron38. You were a checkroom attendant in charge of footwear? I was used to taking care of footwear and growing vegetables. It is like at the Itoen39 where you start by learning how to clean toilets. Since I had a mission to accomplish, I couldn’t be involved only in that kind of work. I had many low-level jobs though. Somehow, I gradually became healthier while engaged in this kind of menial work. At one time, I was with Deguchi Onisaburo of the Omoto religion. He said they were going to transplant a thick chinquapin tree, this big. Many Omoto believers tried to dislodge the tree by using a stick like this, but it didn’t budge an inch. While watching them, I suddenly decided to go and move that tree. The moment I decided to do that, my whole body became red and warm as though I had taken a bath, and tears began to stream out of my eyes. They were tears of indignation. I wondered why peoples of the world couldn’t get along. At least we Japanese should be friends. I shed tears of indignation. Then when I worked on the tree alone it moved gently, even though it had failed to budge when many attempted to move it. My tears of indignation brought me power in that situation. Deguchi Onisaburo Sensei said that I was divinely inspired. That was why I adopted the nickname of Rikizo41. I could move a stone bridge weighing more a ton by myself. You were an Omoto believer at that time. How about now? I imagine they wouldn’t recognize me as one of them now. What made you become a believer of Omoto at that time? I wanted to cure my father’s illness. The Omoto still accept me as an ordinary member42. The Omoto religion represents the great principle of democracy. I have never met a greater person than Deguchi Onisaburo Sensei. He was a great advocate of democracy43. He was assumed many times mistakenly to be a member of the communist party. He was a great man. I learned from him the study of the kotodama. I wasn’t taught formally though, I learned naturally by being with him. Once I dragged two leaders of the religion by the collar and took them home about midnight. They begged me not to take them like that, but I told them I found their opinions to be really rubbish and took them home. I had many matches, but was never beaten. There was a time when I went around carrying a bamboo sword. You also beat a sumo player, didn’t you? There were Tenryu44 and Onosato 45. When the latter came to attack me here, I lifted him lightly and threw him. There was a man named Matsumoto Toranosuke who, I regret to say, passed away in the Soviet Union, who suggested that Tenryu test my strength. Tenryu was laughing then. He was over six feet tall and weighed something over 240 pounds. I was such a small man it was impossible to have a sumo match with him. Regardless, I told him to have a try. I grabbed his hand lightly and I told him to push me back hard. Although he was pushing me with all his might, I said to him, “You don’t have much power, do you?”. Then I moved slightly and he fell. I was sitting the whole time. In any peaceful Japanese budo, harmony is important46. You have power when you are calm. If you are too eager, you lose. In other words, Aiki means to conquer something correctly. You overcome your own sword. This is called katsuhayabi and is much faster than the sun, the moon and the earth. The reason is that you are the universe itself. There is nothing faster or slower in the universe. There is nothing greater. I was alone during the war. I was in charge of all of the army and navy schools. I had three cars for my private use and I never used public transportation. They wouldn’t let me. At that time, when I traveled I would get a first class white ticket. Now it is hard for me when I travel, because my ticket is the regular red ticket. Did the military officers understand the spirit of Aikido? No, they didn’t. Military officers base themselves on battle but I based myself on my own standard, on Aiki. Even if you explained this to them they would not have answered, “Aye, aye, Sir”, wouldn’t they? He was born in 188148 in the Wakayama prefecture. When he was 17 years old, he studied Kito-ryu Ju-jutsu as well as different forms of swordsmanship such Shinkage-ryu and Yaegaki-ryu while working as a merchant. In 1910, he went to Hokkaido and the same year, he started studying with Takeda Sokaku from Daito-ryu jujutsu. By 1919, his Daito-ryu Aiki-jujutsu apprenticeship ended49. Before the war, he taught in the army and navy schools, but after the war he gave up his dojo to his son and became a farmer in Iwama, Ibaraki Prefecture. The dojo is at 1011 Wakamatsucho, Shinjuku-ku, Tokyo. Thanks to Jordy Delage for his help with finding the name of the author and for his advice of several religious implications of Ueshiba’s speech. Kondo is 48 at the time of this interview and Ueshiba is 72. This would take us to 1915-1916, shortly after Ueshiba had established a settlement in Hokkaido and close to the time when he met Takeda Sokaku in Engaru and learned Daito-ryu Aiki-jujutsu. The term that Kondo uses here is bugei (武芸), which historically precedes the use of the term budo, and is often used to designates fighting techniques designed for actual military combat. Given Kondo’s particular stance on war, I suspect this might have been a deliberate choice. To give some context, Kondo was arrested at least three times before the war due to the critical nature of his cartoons towards the military, especially in regards to its budget expansion. During the war, he did end up working for the propaganda department of the army but he later expressed regrets for doing such work, even calling it a war crime. Towards the end of WWII he was drafted into a fighting unit in Kumamoto. Though Japan’s surrender was proclaimed on August 15th, 1945, his unit decided to continue fighting, so Kondo, along with several others, left secretly at midnight on August 16 and Kondo returned to his home in Nagano. Awasekagami (合わせ鏡), two mirrors placed facing each other so that they create the image of an infinite tunnel. At the time of the interview, the US occupation of Japan had ceased only four years earlier and Japan’s gross domestic product has not returned to the level it was before the war. It is of course Ueshiba Kisshomaru (植芝 吉祥丸, 1921 – 1999). The term used by the journalist is denkousekka (電光石火), which literally means “speed of light”. Katsuhayabi (勝速日), lit. a day of quick victory. This is one of Ueshiba Morihei’s favorite expressions and it often appears in his calligraphy. Kondo is using the term bujutsu here, perhaps to distinguish it from the more modern combat techniques of contemporary armed forces. The kotodama (言霊) is the spiritual power attributed to Japanese sounds. By this, Ueshiba implies that Aikido is as old as the world. Chuusshin (中心), a term used to refer to the center of a circle, for example. Kondo is likely saying this because the Japanese vision of the world is centered on the Emperor. Kondo is talking about the same person, Hirohito (裕仁, 1901 – 1989), but different modes of governance before and after the war. He is implying that Ueshiba is referring to the Emperor that led Japan during its expansionist endeavors. 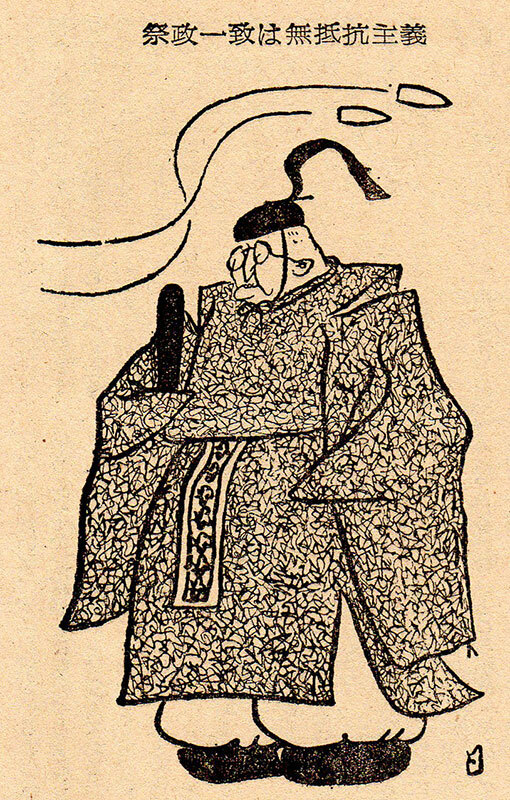 Note that Kondo had previously been critical of the Emperor on a number of occasions, most notably around 1946, when he drew a cartoon depicting Emperor Showa without both hands, resulting in a ban of the newspaper he worked for. It’s actually following the loss of this job that he was hired as a critic for the Yomiuri Shinbun (読売新聞) in 1947 and started the columns from which the present interview is taken. Given the context, one must understand it as a rather hard line right. Masakatsu (正勝), literally the “real victory”. In an interview that Stanley published in AikiNews #79, Ueshiba Kisshomaru stated that his father never saw actual battle in Russia, and that he was only part of what he called “mopping up” operations. Ueshiba refers to the social pyramid of the Edo era, where the Emperor was at the top of the hierarchy, with under him, in order of status, the court nobility, the shogun, the daimyo, samurai, peasants, craftsmen, and at the bottom, the merchants. Interestingly, Ueshiba started his life as the son of a land owner, then briefly set himself up as a merchant, and then embraced the warrior path by enrolling in the army and becoming a full time budo practitioner, hence elevating his own status. Even though such hierarchy no longer really existed officially in Ueshiba’s time (i.e. after the Meiji restoration), it still carried some implicit importance in the minds of many people, and I suspect that Ueshiba might have been sensitive to it. The term used by Ueshiba is ahou (阿呆) written in the text as アホウ. 「このうるわしき天地のみ姿は主のつくりしものなり」, this is the same poem that O-Sensei recited earlier. A common misconception is that the Japanese think of harmony and democracy in similar terms as in the West. We see from Ueshiba’s words that in fact, the notions of equality and individual freedom are far less prominent. Ueshiba is referring to weapons. Ueshiba uses the term kokudo no misogi (国土の禊). Kokudo (国土) means the kingdom or country. Misogi (禊) is a shinto purification ritual where the body is washed. He therefore intends to purify his country. Ueshiba once again refers to the kotodama here, in which the sounds a, i, u, e, and o gave birth to spiritual matter, fire water, yin and yang, and evolved into 75 sounds that maintain existence. Ueshiba speaks of saisei ichi (祭政一致), a concept that states that religion and politics are unified and integrated. Heiwa shugi (平和主義), which literally means “pacifism” but the definition of which can be somewhat different in Japan compared to what it is in the West (see another note below). The tradition in Japan is for a host to points the shoes of visitors towards the door after they took them off, in order to facilitate their exit later. Ueshiba refers to the uniform of a house servant. Itoen (一灯園) is a foundation created by Nishida Tsuneka in 1905. Although Itoen can be considered a religion, there is no priest and a practitioner venerates nature and life itself. I have the feeling that Kondo is addressing an obvious contradiction in Ueshiba’s discourse. Indeed, Deguchi, the leader of the Omoto sect, tended to portray himself very publicly as the equal of the Emperor, hence contesting his position as the center of the universe. Deguchi was also openly critical of tennosei (天皇制), the Shinto-based emperor government system, which caused him and his followers, including Ueshiba, to get into some serious trouble with the Japanese authorities. 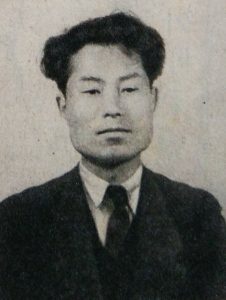 This lead to the two brutal repressions of the sect in 1929 and 1935, and both times, ended with the incarceration of Deguchi. Ueshiba was left more or less untouched both times but he progressively put some distance between himself and Deguchi after the second incident. Rikizo (力蔵), lit. power accumulator. By ordinary believer, Ueshiba implies that his position is different from that of the past when he was a key member of the Omoto community of Ayabe. The reader is probably getting confused at this stage with the numerous use of the word “democracy”. To work this out, we must first set the scene : Through Deguchi, Ueshiba was introduced to a number of Japan’s far-right figures, including members of ultra-nationalist groups such as the Sakurakai. Ueshiba also actually served as a bodyguard for the Sakurakai’s founder Hashimoto Kingoro and meetings of the group were held at his dojo. This may sound completely at odds with Ueshiba’s constant references to pacifism and democracy but as I stated above, the definition of pacifism in the Japanese mind is not the same as that of the western humanist ideals. First, as Ueshiba suggested above, it is certainly not egalitarian. Also, Ueshiba and Deguchi both believed in establishing peace through a sort of benevolent dictatorship, and through the adoption by the entire world of the Japanese social structure. The ultra-nationalists had the same ideals and they were ready to accomplish this by force if necessary. I am personally unsure how far down the war path Deguchi was ready to go. Tenryu Saburo (天竜 三郎) was a professional sumo wrestler. He met Ueshiba Morihei in Manchuria in 1939 and became his pupil. Onosato Mansuke (大ノ里 萬助) was a wrestler who reached the rank of Ozeki. Heiwa budo (平和武道), martial art of peace. Well, there we have it. O-Sensei shared both his secrets and his dreams quite clearly if the soul was listening to him. Just using your ears and the thinking mind is what leaves you with the thought of gibberish. He remained a master of aiki throughout, regardless of the questions and attitude to which he was exposed. I read this interview and noted O-Sensei’s words as I would those of a kindly old uncle who only ever wanted the best for me … and you. Brilliant interview and I am gratefull for having the chance to read it. It reminds us of the worthiness of our journey. Richard. I sometimes notice the term “sensei” used when addressing a writer or (as case may be) a journalist. True, but considering the vast age and status difference, I thought it was worthy of mentioning. I clarified that part a bit in the text, thanks. It is really wonderful to have actual O Sensei quotes we can connect to a specific time and place. John Stevens’s book is an invaluable resource but it lacks the specificity of when and where each quote took place so it is harder to contextualize what O Sensei was saying or to determine developments in his thinking over time. One request I have to help me in my training: I have been reading in a couple of places there is a distinction between O Sensei’s philosophy and Western pacifism, it comes up here when you note that the Japanese connotation of pacifism is different than the English meaning. Could one of Aikido Journal’s writers elaborate on that? I suspect that this disconnect between these ideas may have led to some misunderstandings of Aikido philosophy on my part. 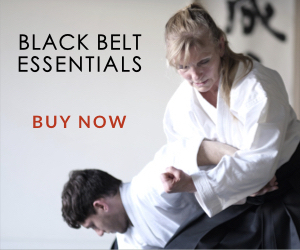 This simple phrase finds its way into the mouths of everyone who has practiced Aikido and tries to explain it to someone who hasn’t. The difference here, in the the most remarkable personal interview of Morihei Ueshiba that I have ever read, is that The Founder rises to the subtle challenge of this satirist to make Aiki and nonresistance as a way of life clear and understandable to anyone with an open mind. 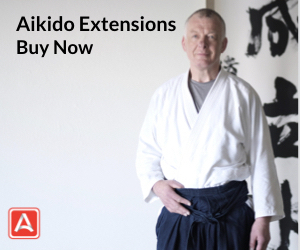 The Founder–even when heavily edited by Mr. Kondo–was very descriptive about Aiki and what it’s truly for. Further, he seems to imply that Aikido has a genuine place in post-war Japan and the larger world. Historians have made clear that O-Sensei was very much a Japanese nationalist before World War 2. 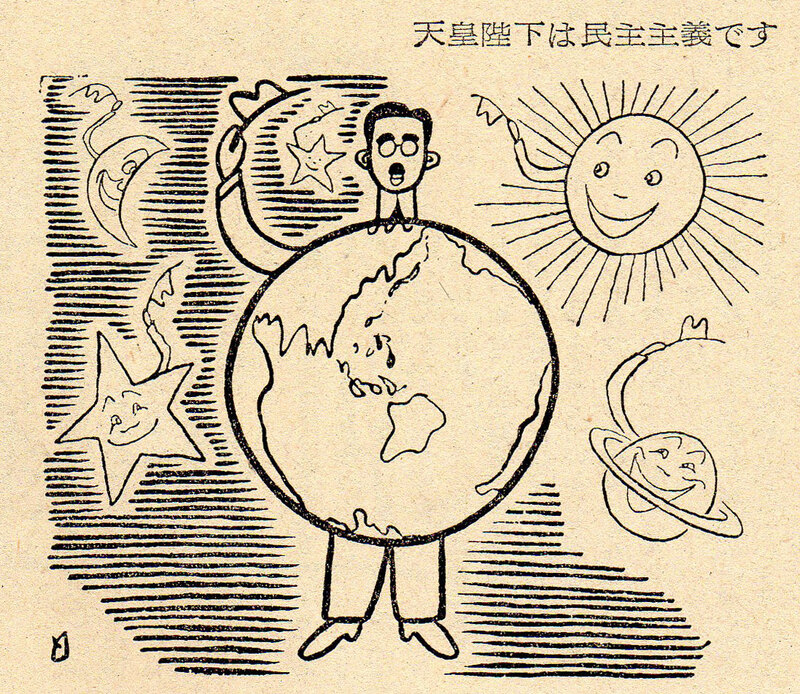 He has by the time of this 1950s interview become something of a Japanese “exceptionalist”, it seems. I wonder, is this a brief period before illness motivates him to completely retire to Iwama? As Dmitri Kostromitin also notes, it’s common in Japan for writers to be addressed as Sensei along with other respected professions; no doubt this respect for writers is rooted in the Confucian respect for scholars. As such, it is no wonder that O Sensei might use it for the writer who was interviewing him. Indeed. The thing is, Kondo was not the standard, well educated writer from Todai, he was a mangaka who dropped out from education. What I was trying to highlight is the contrast between the way Kondo talks to Ueshiba and Ueshiba’s response that is unusual. I will add it in the notes if it wasn’t clear enough. Would it be possible to see the Japanese version? I am curious to read some portions in the original language. Sure, I will scan it when I get back. Any insight would be welcome because there are a couple of places whith which I’m not 100％ confident. An interview which reminds me of a short film made probably at that period by NHK (? ), I looked an video somewhere and a couple of years ago. Also, am I interested in getting a glance at the Kondo’s article in Japanese. I would love to see the original Japanese version as well so I can share with some native-speaking friends. Very interesting interview, I really appreciate you translation and footnotes for context! I too must add my thanks for your publication of this remarkable interview. It does great credit to O-Sensei that he could do verbal Aiki with this journalist/.satirist/comedian; the Founder gave as good as he got or better! Thank you, too, Dr Erard, for your excellent footnotes. 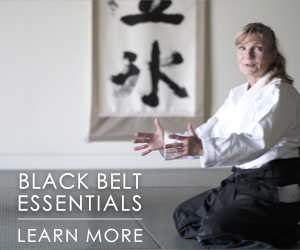 Wonderful insight into O’Sensei’s Aikido…Thank you! Thank you Guillaume for this translation. I enjoyed the humor. Spiritual people have to talk a little funny sometimes to get their authentic message through. How they talk really depends on who they are addressing and on who they are being addressed by. I also think it would be beneficial to address O-Sensei’s vision of world peace through harmony,’ ideologically speaking. It would obviously be an assemblage of Omoto beliefs within a Japanese hierarchical context, but how much of that context he would have been OK to let go, upon dialogue with foreigners, had he been alive today, is debatable. If his commitment was to ‘universal love,’ and his ignorance of previous and subsequent scholarship on the question was huge, then it is possible, I would argue, that he could have been persuaded to change his opinion about the Emperor being at the center, hierarchy, etc. Who knows..! One thing I do know though is that the Japanese are committed to the Confucian principle of ‘learning,’ and that is no small lesson. We, in the West, are not as blessed with the same fervor, which might explain, I think it’s fair to say, our general lack of advancement in the art even after all these years compared to the Japanese. Stan Pranin is certainly happy and perhaps even impressed by such an amazing research work. One’s can learn so much about O-Sensei psychology at this time of his life. Merci beaucoup, Sir Guillaume !